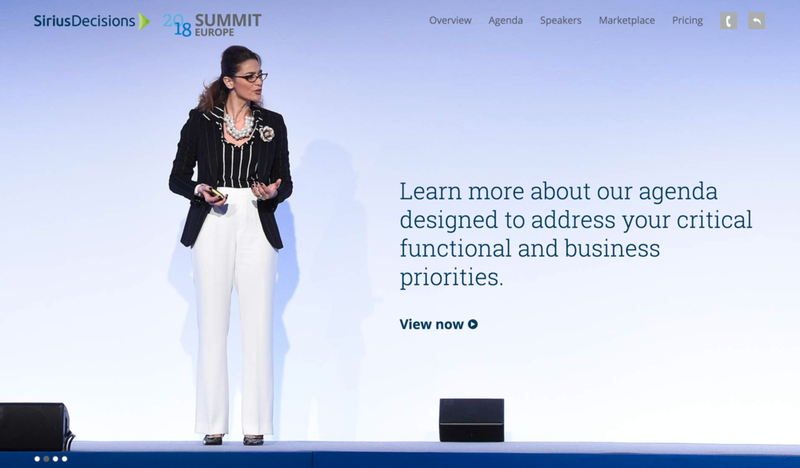 This is a great example of a company who initially hired me for event photography and yet it morphed into something so much greater (without exceeding the initial budget!). Check out the video to learn how we have worked together to replace stock imagery on their website with custom imagery of real people at their events. 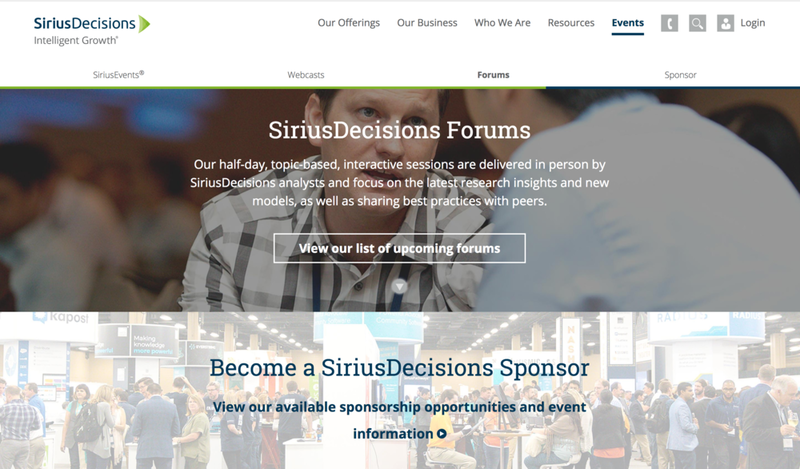 Here are some examples of the types of images captured and where SiriusDecisions uses those images to convey the energy of their company and the events they produce.